Easy and relaxed in Saratoga Springs. 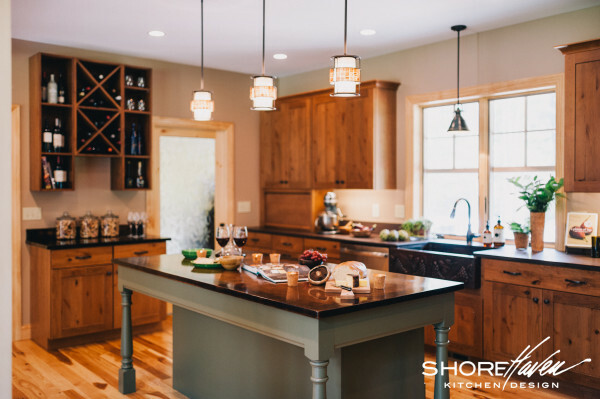 These homowners’ love of wine translated into a new twist on the French Country Kitchen. Layered materials in warm, rich, subdued hues give the space a simple easiness that pairs perfectly with their relaxed entertaining style. 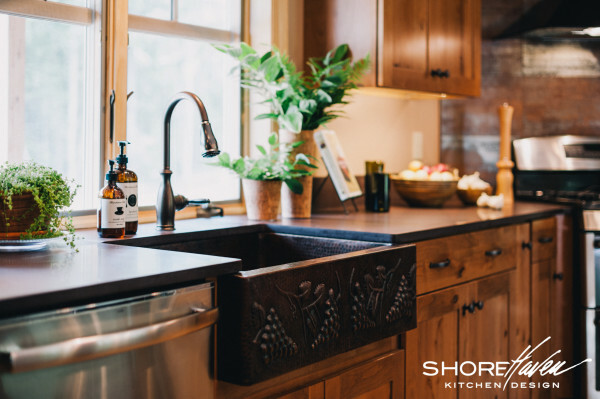 Inspiration came in the form of a hammered copper farm sink with a embossed grapevine pattern on the apron front. Custom built hickory wine cubbies work double duty. 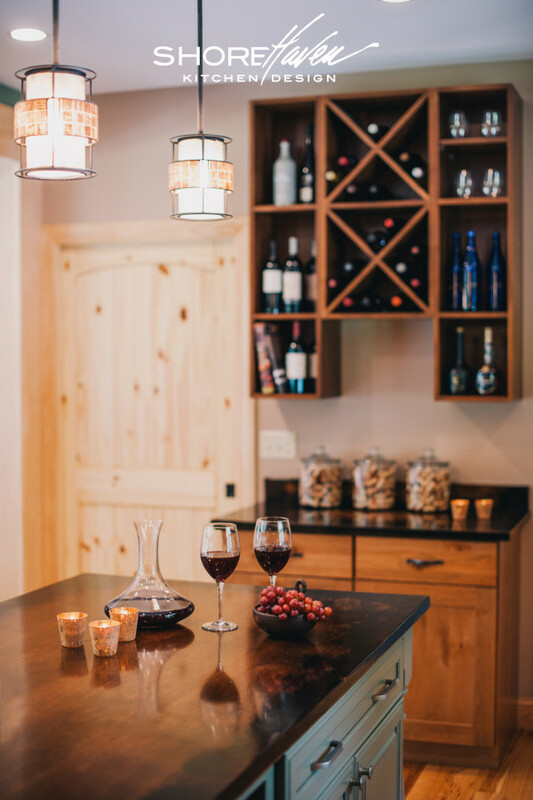 The X-style wine cubes allow for maximum space saving storage, while the surrounding open shelving is the perfect place to display favorite bottles, wine glasses and cookbooks. The large, seven foot long island makes gathering around easy for friends and family. A hand applied distressing technique was used on the maple counter to give to it characteristics of reclaimed wood. 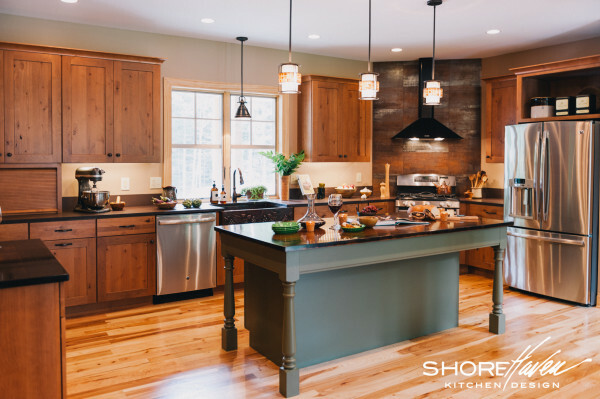 Surrounding the island, natural purple slate counters compliment the aged patina of the copper farm sink, and bring out the knotty characteristics of the rustic alder cabinetry. Open, airy and unfussy, this kitchen channels the rustic charm of the French Countryside. 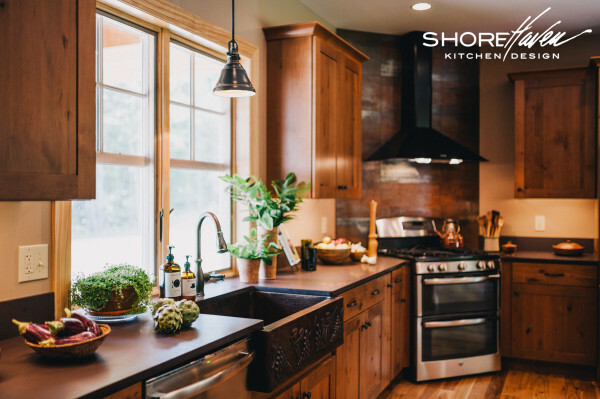 Modern additions such as the pendant lighting, metallic tile backsplash and black hood keep this vintage-inspired kitchen up to date in today’s transitional style.